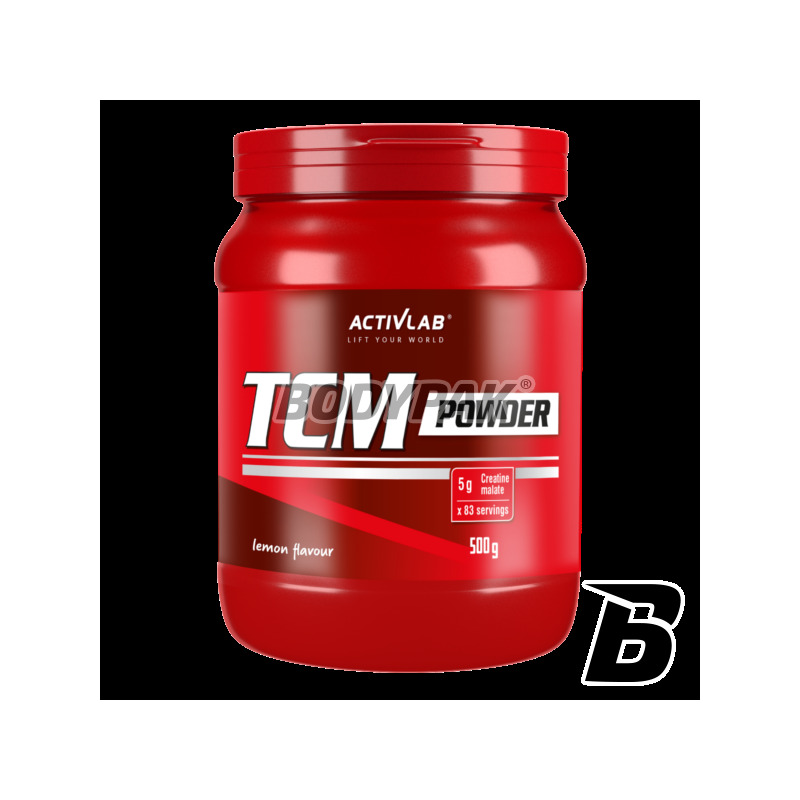 Activlab TCM Powder (Tri-Creatine Malate) - malate, creatine is a substance resulting from reaction of creatine and malic acid, a natural substance which is mediating taking part in the Krebs cycle, which means that it plays a key role in energy production in the body. Compared to traditional monohydrate, creatine malate has a higher bioavailability, stability and anabolic efficiency. It is also more water soluble, which is much faster absorption into the bloodstream and rapid transport into the muscle cells, and consequently a much larger muscle mass. In contrast, malate monohydrate is not rapidly degraded, but is accumulated in the body, creating a kind of storage is used when increased demand. 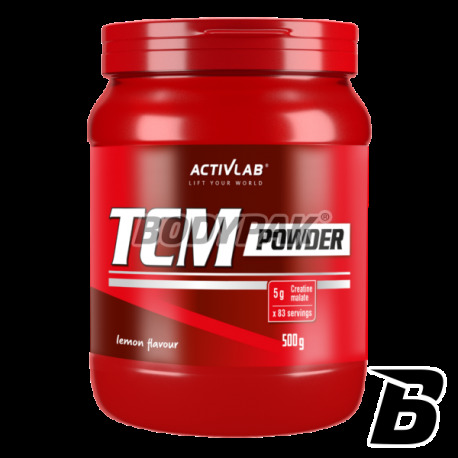 All these features make creatine malate ideal supplement for enthusiasts of every sports discipline. 1 serving 30 minutes before training and 1 serving after training. Dobrej jakości jabłczan w świetnej cenie - 5/5! Duży wybór smaków, jednak najważniejsza jest cena za wysokiej jakości jabłczan - trudni przejść obok takiej okazji obojętnie. Na 500gram lekko ponad 410gram czystego tcm za taka cene, dobra okazja, szkoda ze nie ma mniejszych opakowan np po 150gram, aby moc przetestowac wszystkie smaki bo jest ich sporo.